Dr. Hwang is a co-author of The Innovator’s Prescription: A Disruptive Solution for Health Care, the winner of the 2010 Book of the Year award from the American College of Healthcare Executives. An expert on the subject of disruptive innovation, Dr. Hwang told the audience of anesthesiologists from more than 90 countries that the Perioperative Surgical Home (PSH) concept offers an integrated solution to healthcare that can help the profession of anesthesiology adapt, survive, and prosper. If Henry Ford had asked customers what they wanted, Dr. Hwang said, they would have answered “faster horses”. If you asked people what they wanted from their computers 10 years ago, they would have answered bigger hard drives, more memory, and faster processors. Nobody would have said they wanted a phone. But Apple redefined the business with smartphones and tablets that created their own market, and Apple controls the entire integrated product. Anesthesiology’s chief problem has been complacency with the status quo, Dr. Hwang said. Profitability has been greatest in the operating room, while the areas of preoperative and postoperative care were ripe for encroachment by hospitalists and other practitioners. Healthcare today is a modular system, he said, which is often what you see in mature industries where each component comes from a different supplier. Any improvement in a modular system tends to be incremental, he explained, and it’s impossible for any individual component to change how the whole system functions. 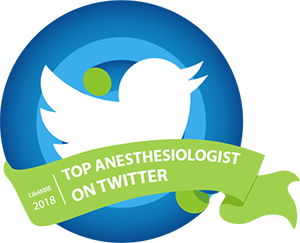 Dr. Hwang was sympathetic to the concerns of anesthesiologists who fear threats to their autonomy, but he said that it’s tough to counter the argument that others can give OR anesthesia more cheaply. “Ask travel agents, tax preparers, and stockbrokers how successful they were persuading people not to use low cost alternatives,” he said. For anesthesiology practice to change and thrive, Dr. Hwang advised, an integrated approach such as the PSH will be crucial. Anesthesiologists can coordinate care teams, collaborate with other providers, and recognize the optimal set of components that must come together. “Toss some pieces out and bring other pieces in,” he said. Mark Warner, MD, ASA’s President in 2010, succeeded Dr. Hwang at the podium and asked the audience, “Are we the anesthesiologists of the future?” He said that great organizations are willing to change almost everything they do except their core values. Zeev Kain, MD, MBA, chair of the Department of Anesthesiology at the University of California, Irvine, discussed his team’s success in implementing the PSH and coordinating care from the time the surgeon books the case to 30 days after surgery. “First find a friend,” he advised the audience. The Irvine program began with one young orthopedic surgeon and has since expanded to multiple service lines. He said the key to success is reducing system variability, which is a major cause of errors and increased cost. Avoiding medical complications is critical, Dr. Kain said, since 50% of a hospital’s costs are related to surgical care. Complications such as pneumonia, infection, and delirium escalate costs, and CMS is now fining hospitals for high 30-day readmission rates. The joint replacement PSH at Irvine has dropped the 30-day readmission rate to 0.05%, Dr. Kain said, and has reduced length of stay and complication rates. ASA President-Elect John Abenstein, MD, MBA, President Jane Fitch, MD, and Louisiana’s Governor Bobby Jindal opened the meeting and welcomed the more than 15,000 attendees to the next four days of educational and governance events. Great article, thanks for sharing. You are a gifted writer and a true physician advocate. I’m currently reading your latest stuff on Kevin MD. Thanks for doing what you do and sharing your insights. Wonderful article! 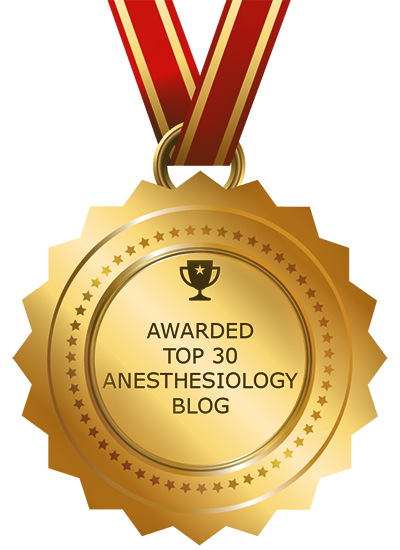 This is so insightful about anesthesia, and it really gives an overview about the future of anesthesia. 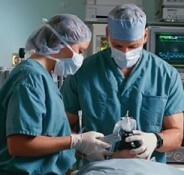 With so many current advances in technology, the future of anesthesia is certainly open. Thanks so much for sharing this info! now wwhenever a comment is added I recieve four emails with the exact same comment.